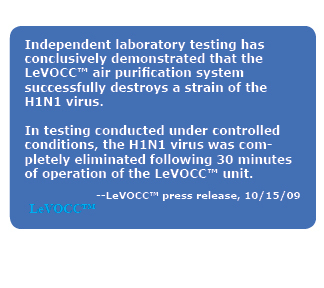 LeVOCCâ„¢ is not an air filter and it does not mask the pollutants. 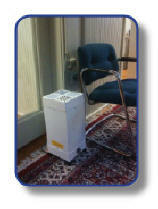 It is a UV-activated catalytic system that absorbs AND destroys pollutants. The LeVOCCâ„¢ system utilizes a proven technology which is protected by a number of U.S. and international patents. Not only will the air you breathe be fresher with reduced odors, but, more importantly, it will be healthier because LeVOCCâ„¢ reduces mold, bacteria and other pollutants.